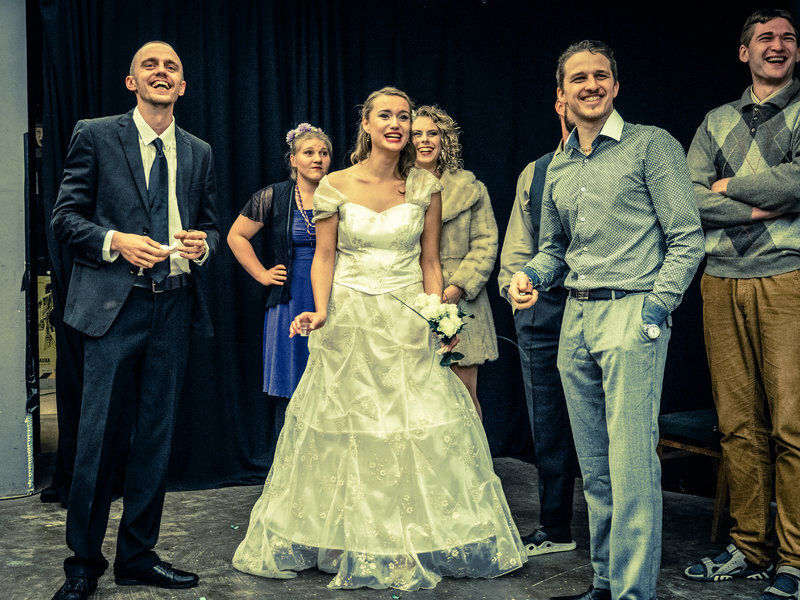 Wedding, based on the one-acter Die Hochzeit by Bertold Brecht, tackles the moral hypocrisy within society. 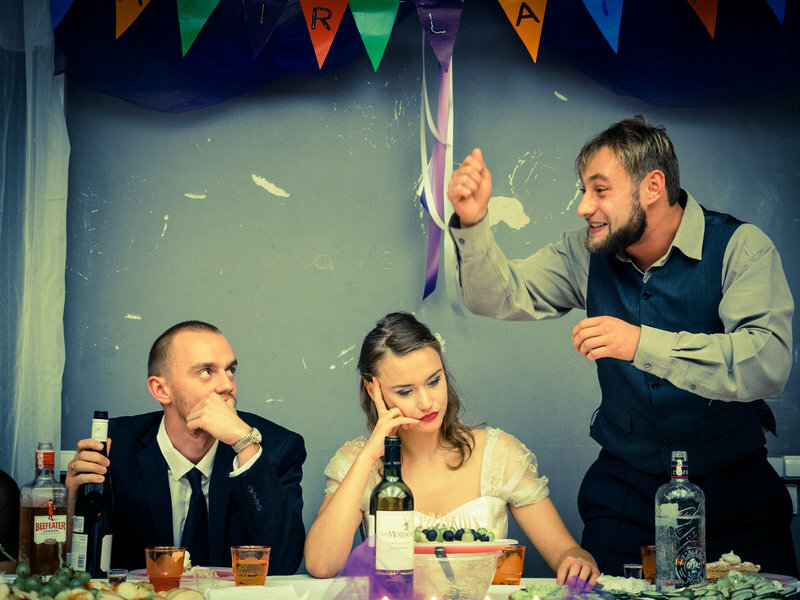 Brecht's play zooms in on a bride who loses her virginity even before the wedding. This modern update digs deeper and probes the decline of traditions such as weddings, who used to be a holy part of our existence. Producer Oskaras Korsunovas composed a bright cast of very young actors. He lets them improvise so that current themes continuously sneak into the performance. 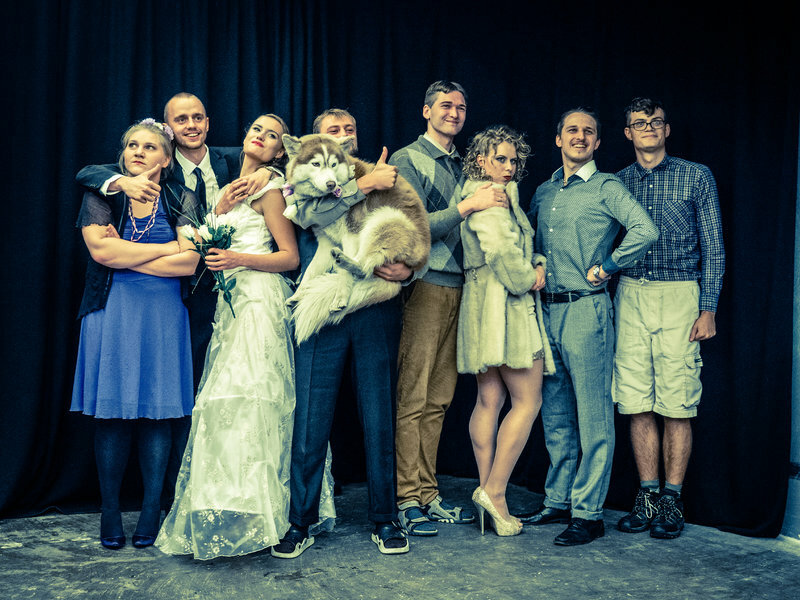 As a cross-section of the Lithuanian society, Wedding mocks the bourgeosie and the conservative reaction to globalization. But in the first place this refreshing comedy wants to hold a hilarious mirror up to ourselves. Laughing at one another unashamedly : this tradition is immortal. Oskaras Korsunovas is the master of contemporary Lithuanian theatre. Since 1990 he has been a producer at the National Theatre Lithuania in Vilnius. In 1998 he founded his own company within that theatre, Oskara Korsunovo Teatras, with which he tried to develop a contemporary theatre language. He wanted, for instance, often via repertoire, to find new ways to communicate with the public and to make themes that were taboo in the old Soviet Union debatable. In this way Korsunovas also became the first producer who investigated on stage the conflicts and sensitivities within the independent, postcommunist Lithuanian society. For his work Korsunovas received the Lithuanian national prize for culture and art in 2002, the European Prize for 'New Theatrical Realities', which has rewarded innovative European theatre makers since 1990, the Meyerhold prize in 2010 and the national Golden Cross awards in the years 2004,2011, and 2012. Oskaro Korsunovo Teatras has performed at the greatest European festivals but was also to be seen in Australia, Japan, China, Israël, South-Korea, Brazil, Argentina and the United States.